Packed with current information on adoption and adoption parenting, Focus on Adoption will help guide your adoption journey before and long after you bring a child home. 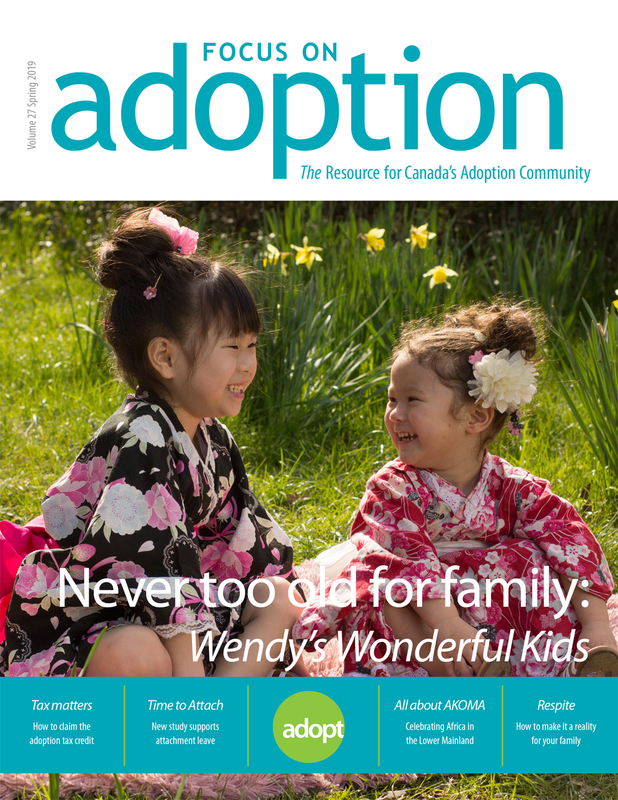 As Canada's only adoption magazine, Focus on Adoption features the latest in international, national, and local adoption news. It also contains articles from expert adoptive parents, adoptees, foster parents, birth families, and adoption professionals on topics such as openness, multiracial families, special needs, the adoption process, education, family stories, and more! Don't receive Focus on Adoption? Subscribe today. This issue shines a spotlight on the Wendy's Wonderful Kids program, celebrates our annual family camp at Timberline Ranch, and more. Celebrations—75 words. We welcome your new arrival and milestone notices (adoption must be finalized). Please provide a high resolution digital photo. News and notes—50 words. Give us a heads up about an adoption-related news item. Ideas and feedback—don’t be shy! We're always looking for contributions from the adoption community, including professionals, adoptees, and birth families. Want to share an article, story, interview, photograph, poem, or review? Learn more about submissions. Receive four issues that connect you with the latest adoption related content. Share your voice and your experience by contributing articles to the magazine.